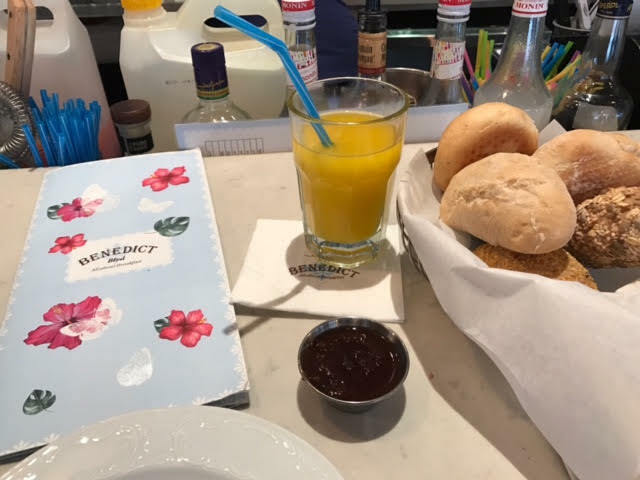 If you have ever been to Israel, you know that breakfasts are usually the best meal of the day. 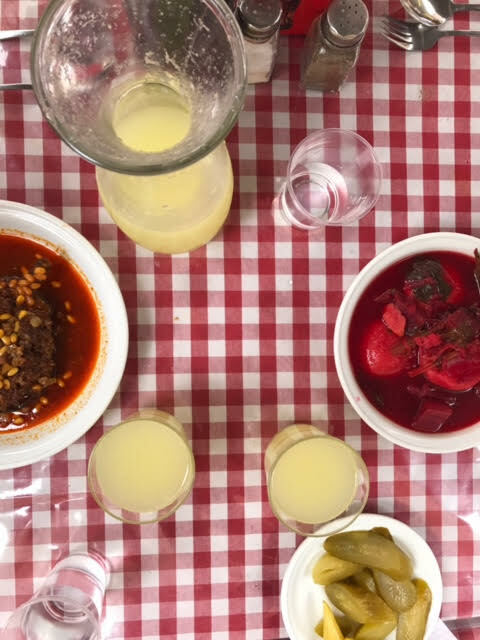 It usually doesn’t consist of bacon or potatoes, but rather a mix of fruits, pastries, eggs, vegetables, cheeses, yogurt, and even olives and fish. If you stay at a hotel that serves breakfast, get ready for a HUGE treat because they usually serve a huge variety of amazing, and fresh food! This trip, I didn’t stay in a hotel, so I opted to go out for breakfast a couple of times, even though usually I don’t usually eat breakfast. One of my favorite places to eat breakfast is called Benedict. This restaurant is usually PACKED, so get there early or keep your eyes open for a seat at the bar! 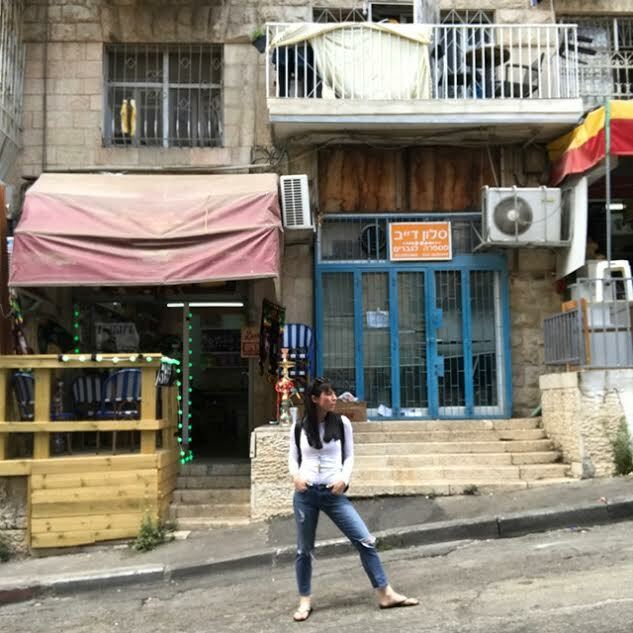 They have a huge menu, that includes your typical American breakfast, as well as Israeli breakfast. This time around, I got the green shakshuka. I’m not usually a huge shakshuka fan, but this was so unique that I had to try it. Usually shakshuka is made with a tomato sauce, eggs, and a variety of vegetables, then baked. I would definitely recommend that you try it, if you never have before. The shakshuka that I ate had a cream sauce with broccoli, artichokes, and other vegetables with eggs and baked. It was a stellar dish! And their baked goods are all amazing! 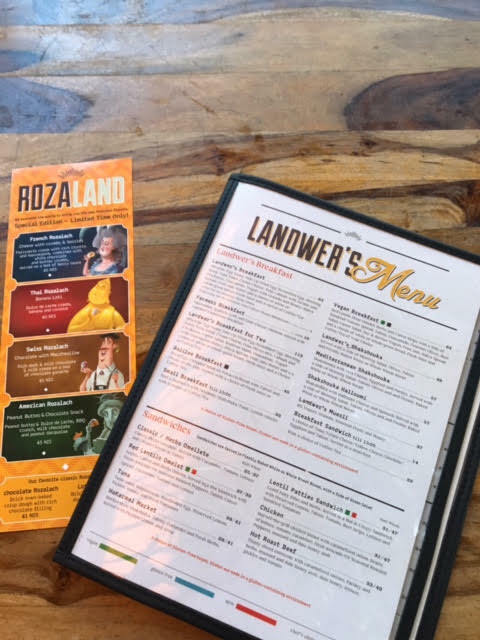 Not to far away from where I was staying, I wandered by Landwer’s Cafe, which seemed to always be busy, so I figured I would give it a try. 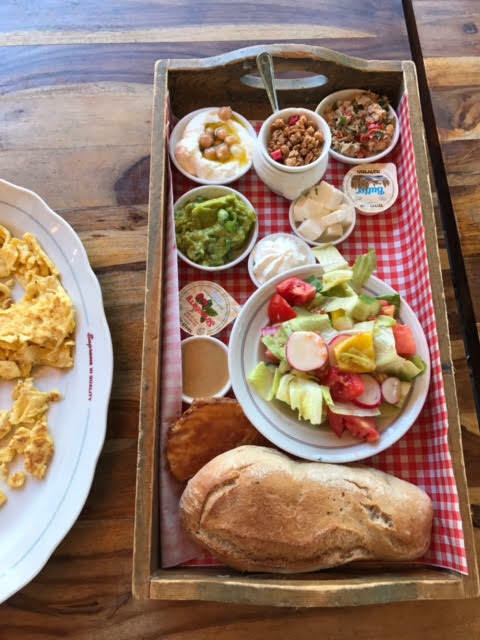 As you can see in the photo above, I had a breakfast that had a little bit of everything; bread, yogurt, cheese, tuna, eggs, salad, and vegetables. It was VERY filling and I believe all of that was around $12! Not too shabby! I would definitely go back there! Tel Aviv is a wonderful place to explore not just food, but the various streets, cafes, beaches, and people. I love it there. This city is truly such a vibrant place, with so much life, and the people and culture reflects just that; just loving and living life to the fullest, every single day. Driving into Jerusalem, a feeling of awe always overcomes me. All of the sudden I turn the corner on the highway, and see this incredible view of all white buildings made of Jerusalem stone, with a gold dome in the center, also known as the Dome of the Rock. I have driven into Jerusalem at least 20 times, and each time, it still continues to take my breath away. 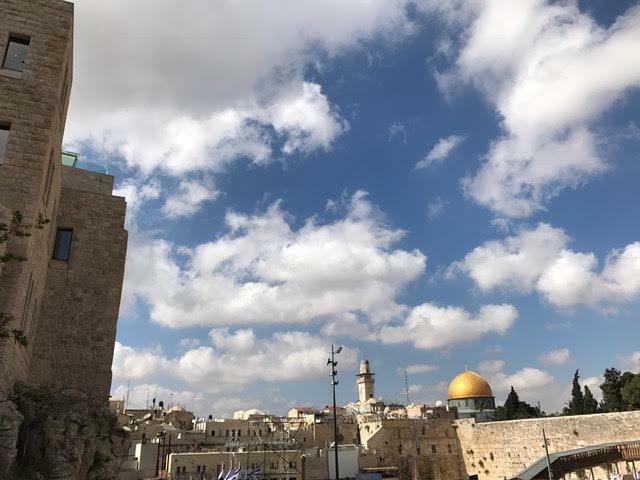 Jerusalem is the complete opposite of Tel Aviv; it is a much more religious city, and on Shabbat (the day of rest in Judaism), the whole city essentially stops. All of the stores and restaurants are closed, and after sunset on Friday, almost everyone is spending time with their family, having dinner, and recovering from a busy week. I love it there and everyone should visit, but honestly, I don’t think I fit into this city. In all honesty, I always feel a sense of unease while I am there. I’m not sure if its because I’m not religious, or I just feel a sense of tension between the various religions there. But, regardless, it is amazingly beautiful and unique city which has a sense of mysticism that is unlike any other place I have ever been to. * Keep in mind, these are only a few of the places to go in Jerusalem, there are a TON of incredible sites to see! I have a few places that I always love to go to while I’m in Jerusalem, and on this trip, I was lucky enough to catch up with a few friends as well. My first stop was Marzipan, which is a bakery that I stumbled upon on my first trip to Israel back in 2006. 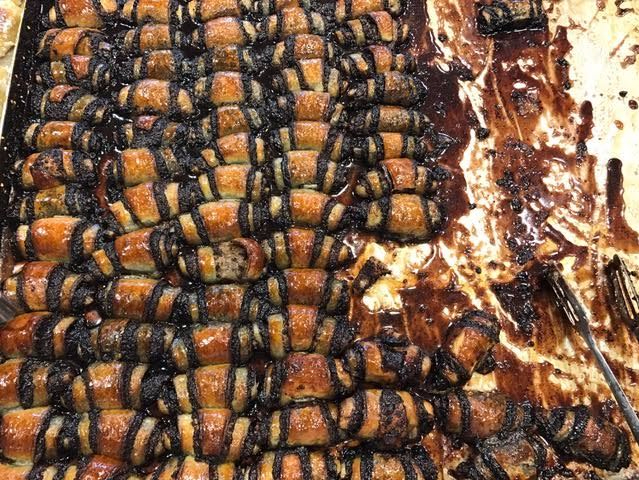 It is most known for its gooey, sweet, chocolate rugelah. I usually get about 25 or so, no, I’m not joking, they are one-of-a-kind, and there is nothing like them in all of Israel, or in the world for that matter! UGH, I could so go for some right now! They are my favorite! Marzipan is right on the outside of my favorite shuk (market) in all of Israel, known as the Machne Yehuda Market. I always stop by to get amazing pastries, delicious fruit, great and reasonably priced restaurants, and overall, an amazing foodie experience. 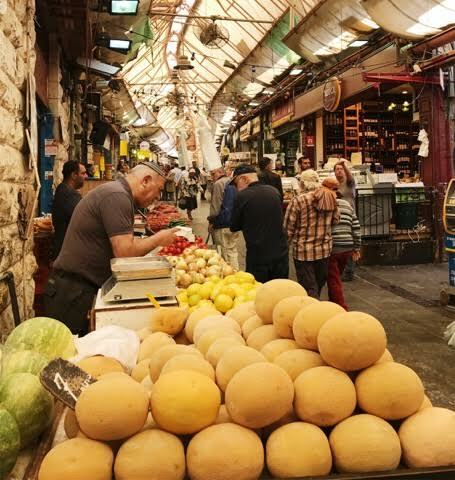 The salesman yelling, TUTIM CHAMESH SHEKLES (strawberries five shekels), amazing smells, and a bustling crowd, filled with young and old people, always brings a warm smile to my face. As an FYI, if you go on a Friday before sunset, be prepared for it to be INCREDIBLY crowded, as people are buying all of their food in preparation for Shabbat. On this trip, I met up with my friend Yoni, who I met when I worked at the David Project, and now lives in Jerusalem. I will just mention, I am seriously so proud of him, he is doing amazing things for the Jewish world, and I am so happy that we were able to catch up. Yoni took me to this incredible Moroccan restaurant where I got the azura dish, which was eggplant, with beef, cinnamon, and a red sauce. It was an incredibly unique and memorable dish and the food that was being served around me, looked just as intriguing. The day I was in Jerusalem, it just so happened Donald Trump was in town, and it was Yom Yershalayim (Jerusalem Day). Jerusalem Day is the 50th anniversary of the reunification of Jerusalem since the six day war in 1967. I knew that would mean that unfortunately, I would most likely be unable to get to the Kotel (Wailing Wall), due to security restrictions, and I was right. I swore that if I was unable to get close to the wall that I would mean tweet Donald Trump… 🙂 JK. BUT REALLY. While I did get a photo near the wall, unfortunately the President of Israel was expected to arrive and so I was unable to go write a note and put it in the wall. 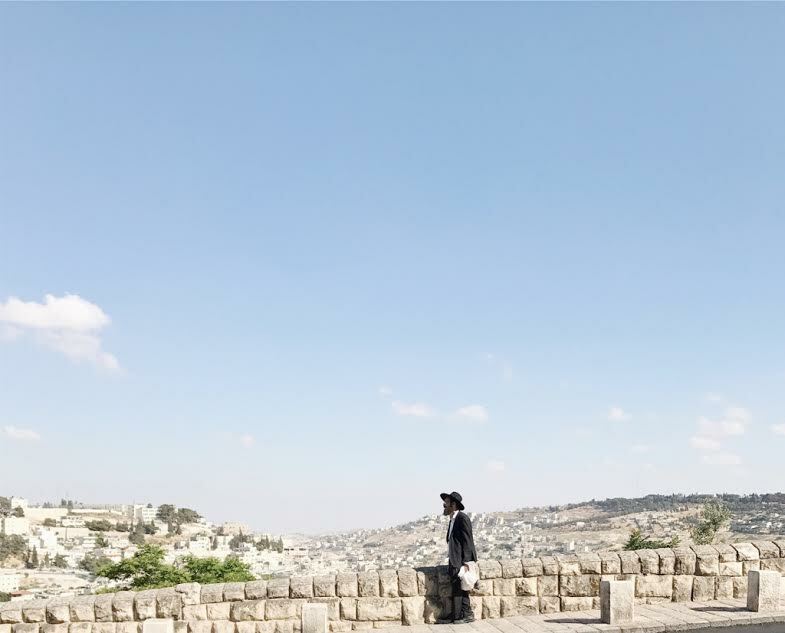 I usually spend time at the wall, thinking, contemplating, and reminiscing, about life, as I watch the religious Jews around me pray fervently, and tourists chatting, taking selfies, and inserting notes in the crevices in the wall. The many moments that I have sat there, I am usually overcome with emotion, even though I am not usually a religious person, and do not typically ask G-d for guidance, I cannot help but just to be grateful to simply be there in a place that is so holy to the Jewish people. Here are a few of my other photos during my trip to Israel. I will be posting more photos on on my Instagram at Casiefarrell1 so be sure to follow! My next post will be about my 8 hour trip to Spain, and my week long journey in Portugal. Don’t forget to subscribe to get the latest updates and blog posts!